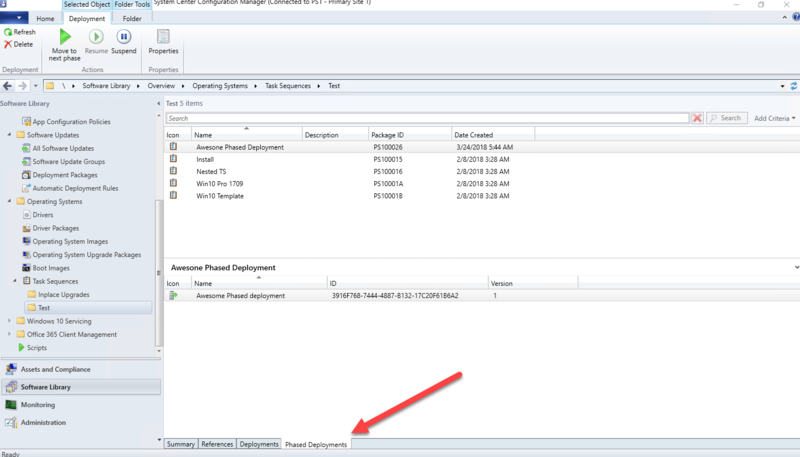 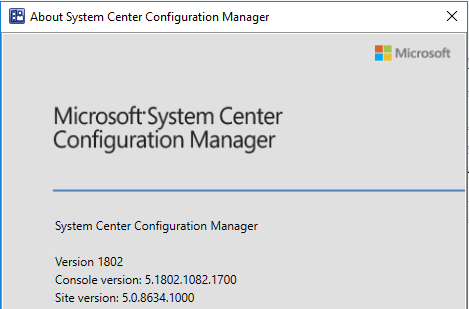 2 months later we now have a new ConfigMgr current branch release version 1802 and with that we now have the phased deployment as a pre-release feature in latest version of ConfigMgr Current Branch. 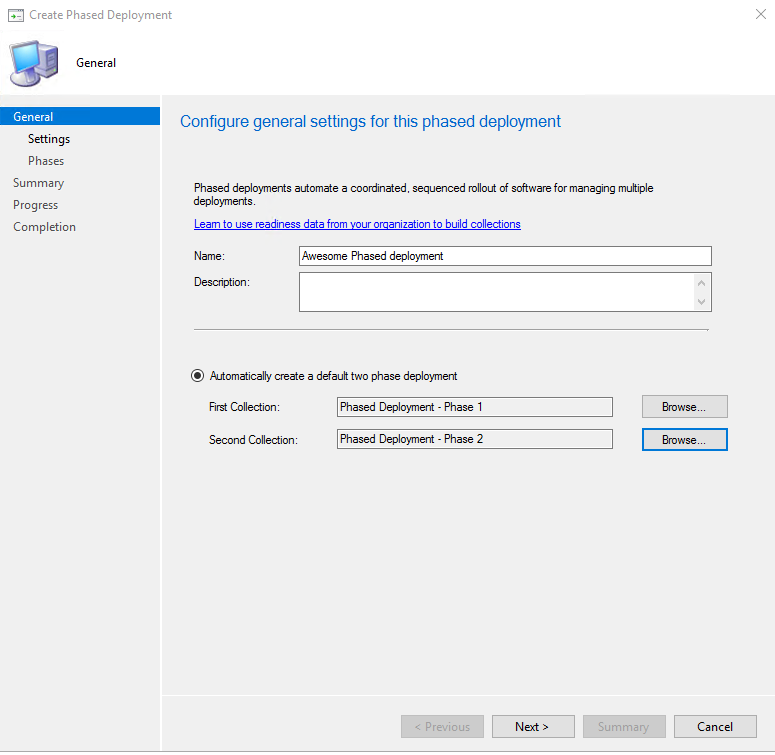 Phased deployments – Phased deployments automate a coordinated, sequenced roll out of software without creating multiple deployments. 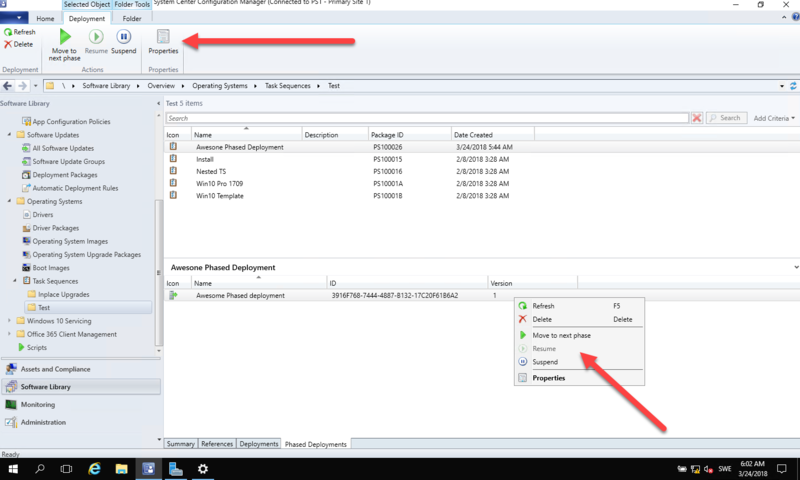 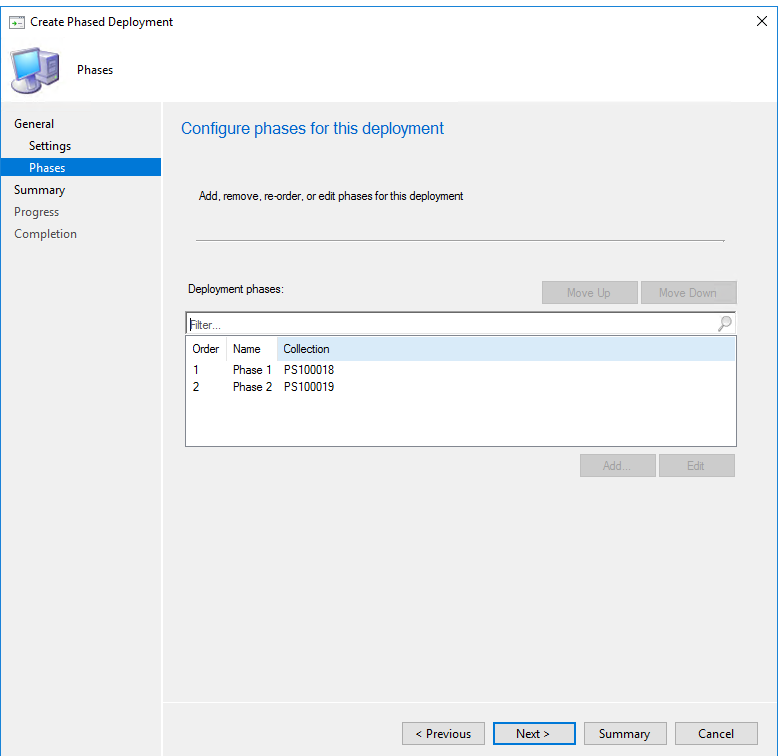 Since this is a pre-release feature you need to specify that you want to activate this feature before you can use it, this can be done either during the upgrade process or from the ConfigMgr console as soon as you have updated to version 1802. 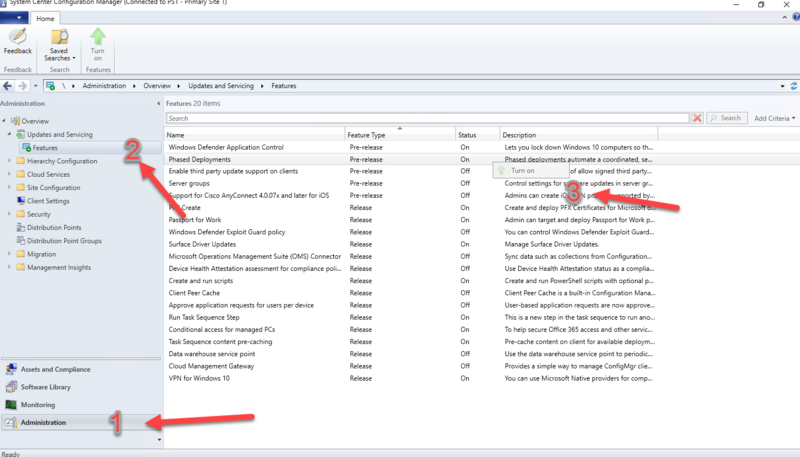 Click “next” and you will get an overview of the different deployment phases, you can reorder them, Add and Edit. 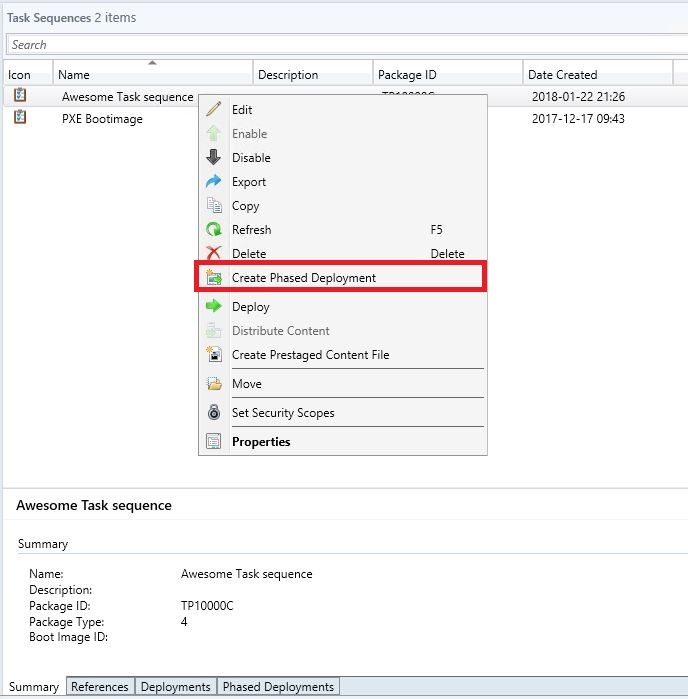 As we can see in the previous pic there’s one Phased deployment and at this time we only have 1 deployment because that deployment haven’t reached the success percentage we configured in the wizard. 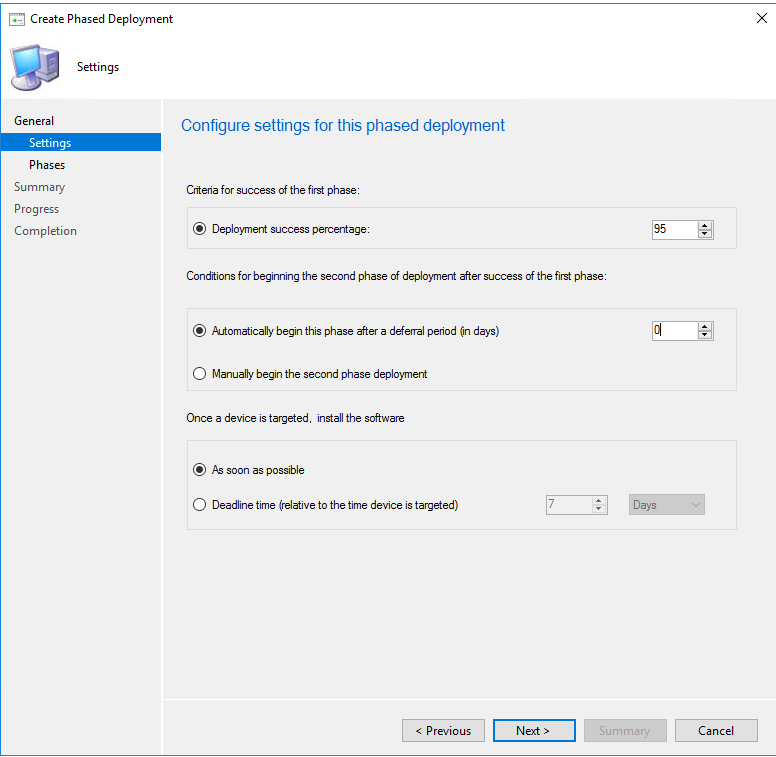 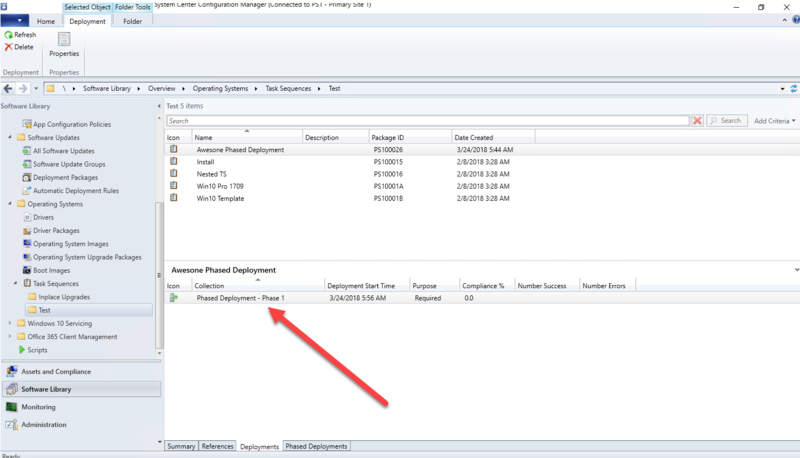 You also have a few options on the Phased deployment to either manually move it to the next phase or if you want to suspend the phases by right-clicking on the phased deployment or by selecting it and do it from the bar at the top. 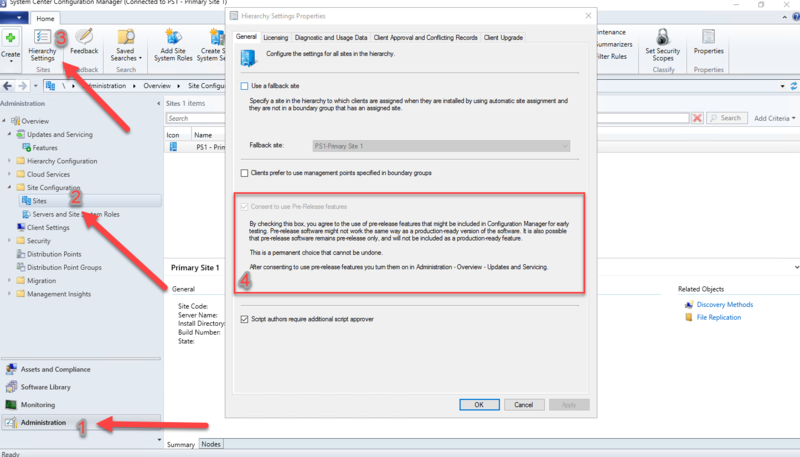 There’s a bunch more settings we could have gone through but I will leave at this as for now and probably do a video showcasing it more in depth. 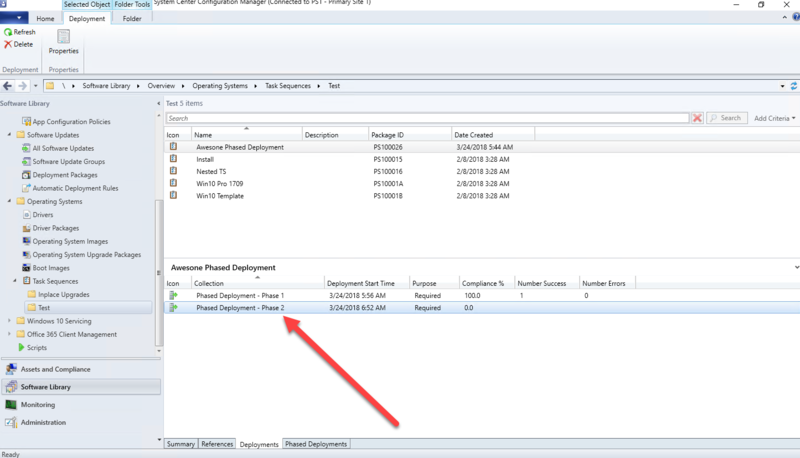 I didn’t touch on troubleshooting in this post but if you want to look at the log files these are the ones that you should look to over at the primary site server.